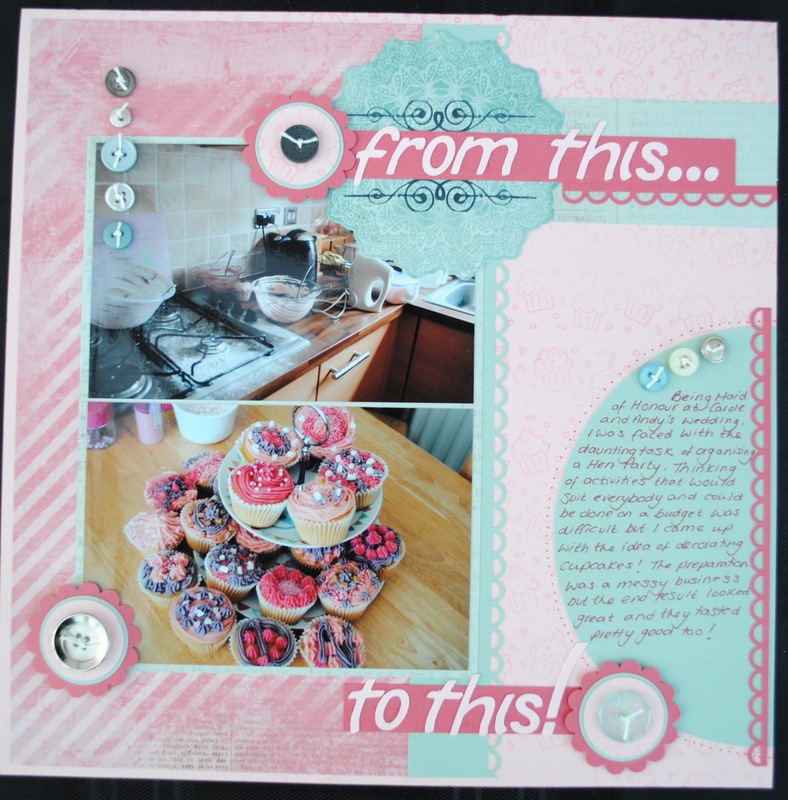 I like the pinks in this kit and it was ideal to scrap a fab picture I had of some cupcakes and the huge mess I made of my kitchen making them! The 'Remember' title didn't work for this layout so I covered up the wording with my own title (which I cut out using my Cricut Machine) but still managed to keep the effect of the shape. 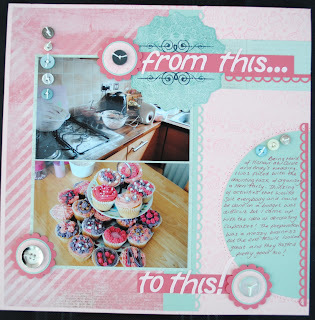 I added circle embellishments cut using circle punches and the buttons too. The kit can be purchased here and costs £7.00 but make sure you check out the information about our monthly subscription as it's much better value.